The Ecumenical Order of Christ state that Raymond Elwood Howard Lear was born in Chicago, United States 9 June 1968. Raymond Lear believes he is the The Returned Christ, Isa and the Moshiach and goes by the name of Lord RayEL, Ra-EL. According to the biography on the website, hosted by The Holy and Apostolic Order of the Temple (HAP) who consider themselves to be Knights Templars, he remains in their protection. The story goes, in 2011 Raymond Lear was infused with Annunaki Spirit. The particular event occurred when a video captured an alleged UFO visiting the Dome of the Rock in Israel deemed by (HAP) to be the place where Jesus’ spirit ascended to Heaven. This event has been proved to be a Hoax. This blog / paper will endeavor to highlight that ‘this alleged birth” is indeed False. The original research was carried out by Dazzathecameraman. Dazzathecameraman looked into a claim made by Lord RayEL / Ra-EL’s ‘Imperial Regent and Knights Templar Angelus Domini (Known as Alan Douglas on Facebook) that an astrological ‘sign’ occurred in September/October 2011 which was legitimate proof of Lord RayEL’s birth. Why this event should occur during these months, beggars belief, as The Ecumenical Order of Christ and HAP already stated in May 2011, that he was fused with Annunaki Spirit on 28th January 2011. “A great sign appeared in heaven: a woman clothed with the sun, with the moon under her feet and a crown of twelve stars on her head. 2 She was pregnant and cried out in pain as she was about to give birth”. (Revelation 12:1:2) and this is their proof that Raymond Lear is The Returned Christ as the birth was ‘unique and therefore was the astrological sign that Raymond Lear was in fact Lord RayEL, Ra-el The Returned Christ. Dazzathecameraman demonstrates in the following video that this is pure fiction. As Dazza demonstrated in his video, this is not an unique phenomenon. 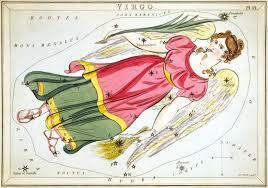 The Sun is in Virgo, Venus (birthing position) and the Moon is at her feet. This happens every 8 Years. Courtesy of Dazzathecameraman. Position of Virgo, Sun and Moon in the Constellation of Virgo during September / October 2011. 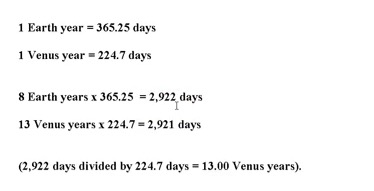 Dazzathecameraman quite correctly states that on the evening of the 28th January 2011 there were no astronomical alignments. This is again EVIDENCE and PROOF that Raymond Howard Lear is not the Returned Christ. Many thanks to Dazzathecamean for allowing permission to use his video. Previous Previous post: Lord RayEL Exposed – TORAH CODES are Fudged.